Matt Young was born and raised in Belleville, Illinois. After graduating from the University of Kentucky, with honors, Mr. Young received his law degree from Southern Illinois University School of Law in 2006. Following law school, Mr. Young concentrated his practice in civil litigation while working for the largest litigation defense firm in St. Louis. While there, Mr. Young was able to see how insurance companies evaluate claims and make determinations in order to prevent an injured victim from receiving the maximum amount of recovery. It is with this knowledge and experience that Mr. Young is able to effectively represent those who are injured. He is licensed to practice law in Illinois and Missouri. While litigating in almost every forum in the state of Illinois, his practice is focused in St. Clair and Madison Counties. 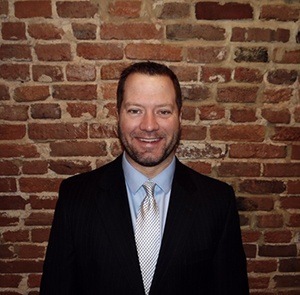 Mr. Young presently devotes his time to a diverse practice including civil litigation, specifically personal injury and products liability, corporate law, criminal law, and appellate work. Mr. Young has argued successfully on behalf of his clients in front of both the Appellate Court and the Illinois Supreme Court. He is a member of the Illinois State, St. Clair County and East St. Louis Bar Associations. He is also a proud member of the Illinois Trial Lawyer’s Association; an organization dedicated to protecting the rights of those who have been injured by corporate greed, and then treated unfairly by the insurance companies backing them. Mr. Young lives in Belleville with his wife and two boys.